Welcome to another edition of the Twins Prospect Pulse. 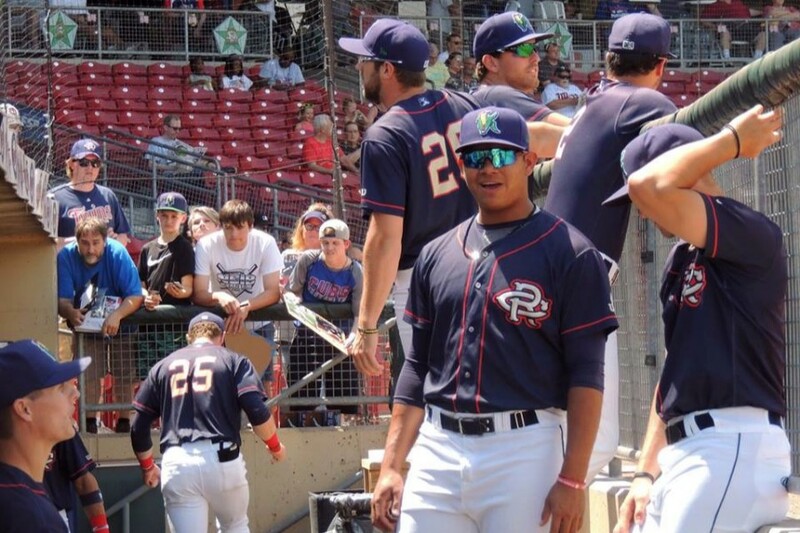 Over the past month we’ve seen several big promotions (Alex Kirilloff, Brusdar Graterol, Royce Lewis) and the short-season leagues have all gotten underway, which means we’re starting to see some of the 2018 draftees for the first time. Here's how each affiliate is performing, a rundown of the Twins Daily top 20 prospects and another 10 names of note. Below are the stats for this edition of the Prospect Pulse. All numbers were pulled on the morning of July 16. Here’s a snapshot at how the top 20 prospects have performed. We unveiled a new midseason prospect list earlier this month. Both Fernando Romero and Mitch Garver graduated from prospect status while Tyler Jay and Felix Jorge dropped out of our top 20. The new arrivals that took their places are Trevor Larnach, Ryan Jeffers, Jacob Pearson and Luis Arraez. That’s it for this edition of the Prospect Pulse. Thanks for checking it out. This is a really good feature at Twins Daily. Don't know how I missed this when it came out before ... thanks! It's a GREAT feature! Thanks for the rundown. 40 + 10? Yikes, these guys do have lives outside of here! Thanks for this compilation. Nice to see some of the DSL guys singled out; I don't usually pay much attention to those guys. Its always fun to mine the 28 day and full season numbers for hidden nuggets. Blaine Enlow's peripheral's haven't changed (except Whip--that's lower) but his ERA has plummeted. Lewin Diaz has more than doubled his season BB% over the last 28 days. Lewis Thorpe and Bailey Ober have obscenely high KK/BB ratios over the last 28 days. I'll see what I can do in terms of expanding it next month, it'll depend on how mush I've got going on the day I whip this together. Neither do I, to be honest. I feel like there's a lot of fool's gold down there. It's really hard to try and evaluate on the numbers, which is all I personally have to go off of for that league. Below are some things that put into perspective what comes out of the DSL. Since the kids are so young in this league, you've got to look back a ways to get any real context. And among the DSL leaders back in 2008, only six of the top 50 players in OPS and six of the top 50 pitchers in ERA that season made it to the majors. But, I still wanted to highlight a few of the guys down there because I do think it's worth at least keeping some tabs on what's going on. Maybe Escobar (17), Feliz (18) and Morales (19) make it to the majors, maybe they flame out before they ever even make it to full season ball. Who knows? Fun facts on Jeferson Morales: He has more extra-base hits (12) than strikeouts (11) and leads the DSL Twins with 12 stolen bases. This is all from a catcher listed at 5-8, 170 pounds. Thanks for the fine update. Cedar Rapids has been really interesting to follow this year. Two CR players not listed have been good the last 28 days - Jose Miranda (.315/.354/.533) and Trey Cabbage (.273/.368/.515). The Twins have a lot of upside in the 21 and under crowd. Thanks for the update, Tom.It is appreciated. Only name I was surprised to not see was Jose Miranda.With a .919 OPS in July, expect his numbers would be right up there with the best.Speaking about the Kernels, you have to be excited about Baddoo and Pearson. What really got my attention is the progress so many of these players are making.Is always a good sign to see players playing better as the long year wears on.Another exciting note to me was how well the Top 3 are doing after moving up a level within the last month.Yes, their numbers are down, but not bad as they adjust to the better competition they are facing.I said it elsewhere a few days ago, but I expect this Top 3 can stand up against the Top 3 in most organizations in baseball. And thanks for including a couple guys from the DSL.I expect we all are going to be talking about Escobar a lot over the coming years.Does anyone know anything about him?Is he a hard thrower?Or a finesse guy? Two CR players not listed have been good the last 28 days - Jose Miranda (.315/.354/.533) and Trey Cabbage (.273/.368/.515). Only name I was surprised to not see was Jose Miranda.With a .919 OPS in July, expect his numbers would be right up there with the best. Thank you for reading, and I want to make it clear that I welcome people to chip in with comments like these, but just a heads up both Miranda and Cabbage were highlighted in last month's "Another 10 to Know" section. I'm trying to avoid repeating any names in an effort to spotlight as many players as possible. It's been good for me personally to get a bit out of my comfort zone and discover some new names (like with the DSL guys), so I hope everyone following along has the same experience. -Arraez (wasn't in the top 20 at that time), Charlie Barnes, Cabbage, Randy Dobnak, Adalberto Mejia (who I realize now isn't technically a prospect, doh! ), Sean Miller, Miranda, Jovani Moran, Brian Navarreto and Bryan Sammons. -Nick Anderson, Willians Astudillo, Edgar Corcino, Jaylin Davis, Ryan Mason, Chris Paul, Cody Stashak, Todd Van Steensel, Andrew Vasquez and Zander Wiel. So again, feel free to further discuss any of those guys, but if you're wondering why they weren't singled out, it's because they already have been. This is fantastic. It's great for getting an idea of how players are trending. Thanks Tom, Great stuff! Wow, Rooker's 32.0% K-rate is eye-popping. Thanks for these great updates. I'm curious - where do you get the info for the last 28 days? Victor Heredia also has some pretty strong numbers. For the season, he's at .355/.400/.598, 14.4 K%, 6.4 BB%. (He's second in the league in slugging and 5th in OPS.) I think his last 28 days look pretty similar. He was originally signed as a catcher, but looks like he hasn't caught this year - moving to 1B/DH - which likely tarnishes too much optimism for the 18 year old. Yeaaaaaah ... not ideal. Luckily the production has still been there despite the Ks. In the splits at Baseball-reference. Until Rooker cuts that K rate drastically, I don't consider him a meaningful prospect, no matter how many HR's he hits. I realize I'm in the vast minority, perhaps even alone. I too have doubts, plus his defense (if he has a position) is a major issue, imo. But, he looks like he can hit some, and that's always good. But, the Ks....they are a concern. Yeah, I know, I’m asking too much. Maybe save the 40 for a season recap then. The only reason I threw out the 40 is because that’s what TD does. ^^^ Big Jose Miranda fan here as well my friend. Since May 18th, in 55 games he's hitting .322/.364/.518 (.882 OPS). with an 11.3% K rate. He reminds me of how Jorge Polanco flew under the radar on Sano/Buxton/Kepler/Rosario stacked teams. I'd put him right up with Akil Baddoo in prospect rankings.